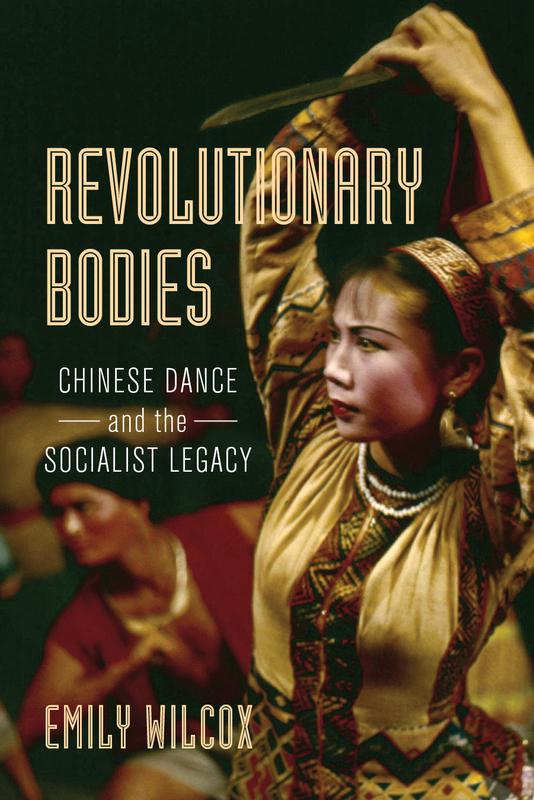 We sat down with LRCCS Faculty Emily Wilcox to talk about her new book Revolutionary Bodies: Chinese Dance and the Socialist Legacy. In this interview, she tells the story of the book - from the impetus to create it to giving book talks to some of the same people she cited in her research. LRCCS: How did this book come about? Prof Wilcox: About ten years ago, when I was conducting the research for my PhD, I spent a year and a half studying Chinese dance at the Beijing Dance Academy 北京舞蹈学院, China’s most prestigious dance conservatory. I also spent time travelling around China seeing performances and conducting interviews with professional dancers of various ages and backgrounds. Through this research, I gained a huge appreciation for Chinese dance. I also learned that Chinese dance was by far the most widely practiced concert dance form in contemporary China. However, at the time most existing English-language scholarship about dance in China focused on dance styles that originated in Europe and North America, such as ballet, modern or contemporary dance, and ballroom dance, not Chinese dance. As a result, there was a great deal of misunderstanding about Chinese dance in the English-speaking world. I wanted to rectify this problem by writing a history of this art form that would be accessible to average readers but also academically rigorous in terms of its research methods. I collected historical materials such as dance films, magazines, programs, photographs, and dancer memoirs. With the help of UM Chinese studies librarian Liangyu Fu, many of these materials have now become part of the UM Chinese Dance Collection, now the largest special collection on Chinese dance history outside China. I used the materials in this and other collections as the basis for my book. LRCCS: So the book came out in November; now that it’s been out for a while, do you feel it’s been sparking the kind of dialogue you were hoping for? Prof Wilcox: Yes, absolutely. I can already tell that people’s understanding of Chinese dance is changing and the field is expanding. Graduate students doing MAs and PhDs on Chinese dance in other countries are starting to contact me for guidance and to serve on their advisory committees. There is a sense now that Chinese dance is an important field of study, not only for dance scholars but also for scholars in Chinese studies. There is a sense of a growing community of scholars interested in this subject and sharing our ideas and research. LRCCS: You’ve also been doing a lot of international book talks – how have those been going? Prof Wilcox: Yes, I recently gave book talks in Beijing, Nanjing, Hong Kong, and Singapore, both in Chinese and English. It was amazing to present my book in China, because many of the people in the audience were either my former teachers at BDA or leading scholars publishing in Chinese whose work I cite in my book. After one of the talks, an influential Chinese dance scholar I respect immensely, Liu Qingyi, told me she was grateful because my book would create a wider visibility for the research she and others were doing in China. That was really moving. It’s also very meaningful to me that Chinese dance practitioners are starting to read the book and have a new understanding of their own art form. LRCCS: What did you most enjoy about writing this book? Prof Wilcox: I really enjoyed the sense of discovery and being able to connect history with things I had seen and experienced personally. I had already met many of the choreographers and dancers I write about in the book in person and had seen many of the works performed live during my field research. So, finding documentation of these people and dances in the archives was really exciting. I also enjoyed having the opportunity to decide who and what should be remembered. I like changing the established narratives to foreground people who have been unfairly written out of history and telling their stories. LRCCS: I loved all the links to videos I saw in the book – how did you work that out? Prof Wilcox: I love that element of the book too! It’s the first book I’ve seen that embeds the videos directly into the e-book, and that makes the experience really seamless for the reader. Getting permission for those videos varied depending on the source. Some were already in the public domain, while others required copyright access. In the end, I was fortunate because everyone I contacted agreed to have their work included in the book. Another amazing feature is that because of grants from LRCCS and UM’s open access grant program, I was able to make the book freely downloadable as an open access publication. Readers can also access the videos from the physical book using QR codes or web links. LRCCS: What do you want people to know about your new book that’s not already out there? Prof Wilcox: The book emphasizes the contributions of women, diasporic, ethnic minority, and immigrant artists to contemporary Chinese culture. In this sense, I think it expands much of the existing scholarship to emphasize formerly marginalized communities. 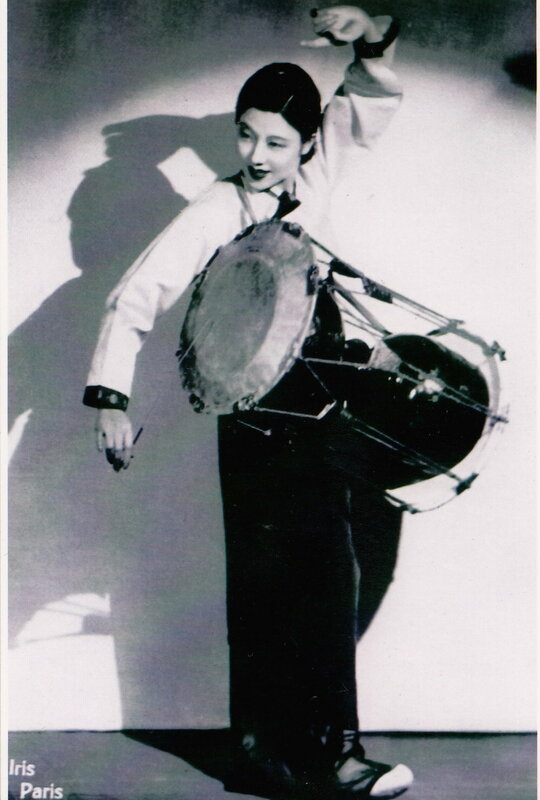 Many people are surprised to learn that one of the most important contributors to the creation of Chinese dance, Choe Seung-hui, is nationally and ethnically Korean. LRCCS: What’s the ideal impact you’d like for this book to have? Prof Wilcox: I’d love for Chinese dance to be included more frequently in classes on dance studies and Chinese studies. I’d also like to change some of the narratives about socialist culture. My book shows that socialism inspired an enormous amount of creativity in China’s dance field, with Chinese dance being a major example. This is something we can still learn from today. Most importantly, I’d like to see continued international dialogue happening through the arts.